The Inside Track column in the Business section of The Irish Times is a weekly feature that focuses on a successful Irish firm each. 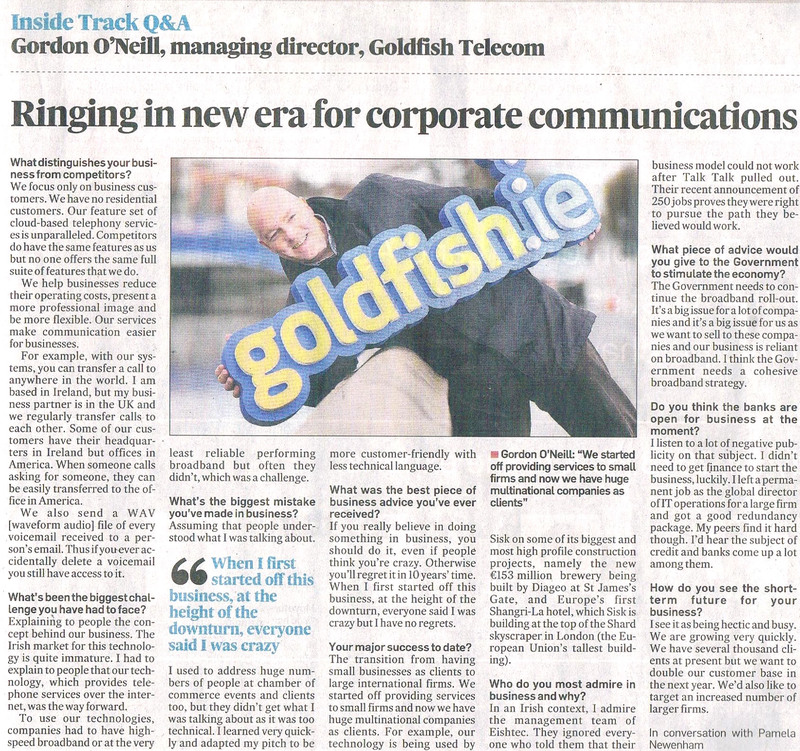 This week featured Goldfish.ie. Below the article include an interview with our founder Gordon O’Neill by journalist Pamela Newenham. Questions varied from talking about our services to advice for other entrepreneurs and what the government can do to help the economy. Double click on the article below to zoom and read it in full. Our founder Gordon O’Neill striking a pose.